Vote for "The Course of the Year 2015" by setting up your "Top 5 List" for the best courses of 2015. Click any map to get to its map page. See all nominated maps in omaps here or as a slideshow here. Sorry, you are too late! Poll is already closed. You can still take a look at the nominated maps, though. 1. Drag maps from the list of candidates on the left to your favourite list on the right (click a map sample to see the full map). PS! Unfortunately the voting setup does not work well on mobile yet. Sorry! 2. Enter your name and e-mail address, and click below to submit your vote. 3. Win great prizes from our sponsors (see below). Enter you name and email-address to be part of the draw for the prizes from the sponsors. Note! Only one vote allowed per IP-address and email-address! The 'Course of the Year 2015' will be found based on summing all the votes. For each course being set on the top of a 'Top 5 List', 100 points are awarded to this course. For each course being set as number 2, 70 points are awarded, and so on with 50, 30 and 10 points for the next spots on the list down to number 5. You are only allowed to vote once (if several people share one internet connection, only one can vote, as the IP address is used to identify the voter along with the email-address of the voter). Among all people voting and submitting suggestions, great prizes from our sponsors will be drawn. See below for the prizes. Prizes from our Sponsors always makes it more fun! There will be a prize for the first one suggesting the course which ends up becoming "The course of the Year 2015", and prizes drawn among the ones suggesting and voting. All prizes are transferable to other persons (you don't have to travel yourself). 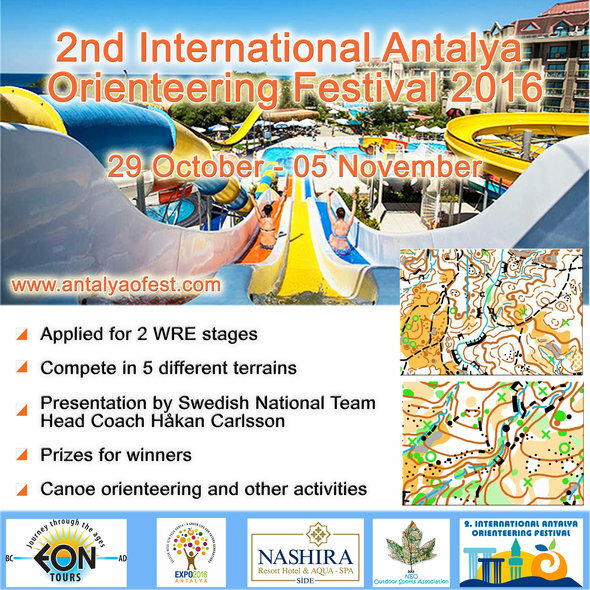 Prize offered: One big Antalya O-Meeting package consisting of 2 complete Antalya Orienteering Festival packages: Accommodation + Entry for all 5 races + All Transfers + The program consisting of presentations held by Hån Carlsson. Value about 495 Euro. Transferable to other persons. 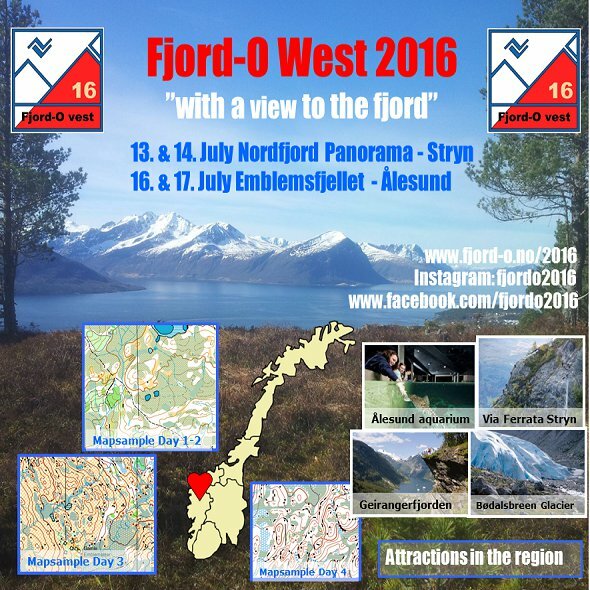 Prize offered: 3 packages - each for 2 persons - for the full Fjord-O 2016 consisting of entry for 4 races in beautiful terrain with fjord view. Value about 450 Euro. Transferable to other persons. The race courses are set among the most spectacular sceneries in «Fjord Norway», with the slogan «with a view to the fjord». Fjord-O Vest is 4 days of competitions allowing time for you to explore the beautiful nature in this area during your holiday. Stryn and Åesund have many exciting attractions such as the Jugend town of Åesund, the Geiranger Fjord, a hike up the longest uphill track in Norway to the Skå summit at 1849 above the sea level or a visit to the famous Briksdal Glacier. See more at fjord-o.no. Prize offered: 4 packages - each for 2 persons  transferable to other person. Consisting of entry to complete 4 day Portugal O Meeting 2016  4 official races + 1 Urban Night (Middle, Urban Nigth, Middle, Long-WRE, Long). Value about 390 EUR. 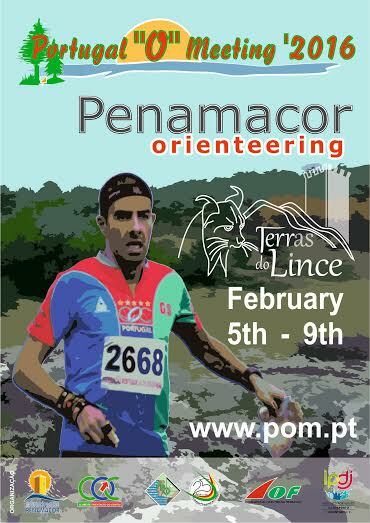 POM is the worlds biggest winter time orienteering event, and is considered by many as the official opening of the competition season for its high quality organization and for receiving the top runners of the world. We expect to have 2000+ runners - last year POM had 2300 runners! Besides new maps, challenging terrains and courses youll be able to experience the rich gastronomy, as the famous cheese, olive oil and honey (considered among the best in the world). Have a chance to enjoy the friendship of locals and explore the beautiful and untouched nature. 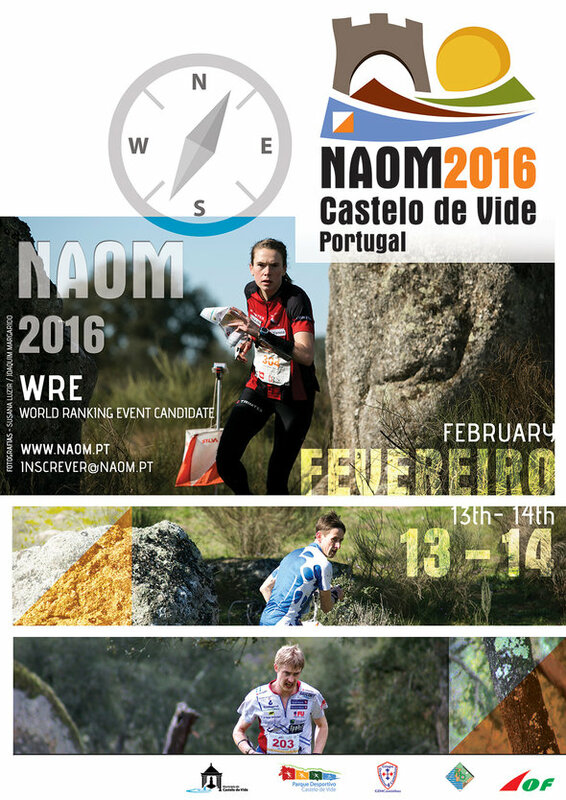 The WRE day will be the long distance on 8th Feb.More at http://www.pom.pt. Prize offered: 3 packages for 2 people  each consisting of: entry for 4 competitions (2xmiddle, 2x shortened long), accommodation for 4 nights in camping, 3 training maps, Event T-shirts and headtube. Value about 360 Euro, transferable to other person(s). 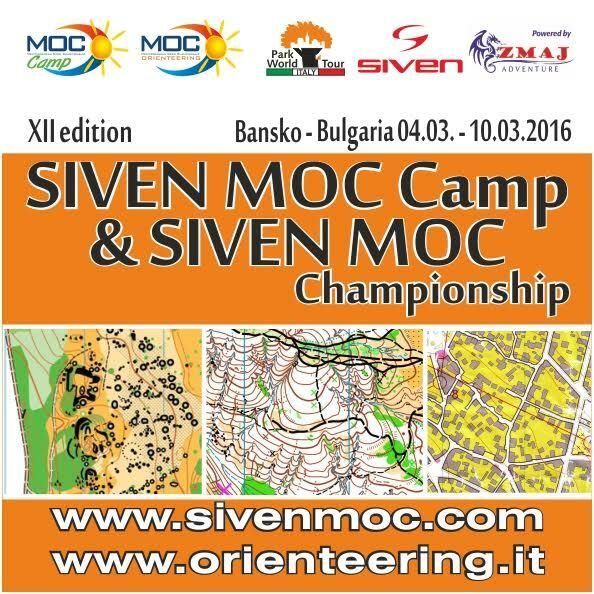 Prize offered: Full package for 1 person consisting in package for SIVEN MOC camp + entry fee for SIVEN MOC Championship in Bulgaria - March 2016. The package includes 7 trainings as shown on the program, 3 competitions of MOC Championship, 8 nights accommodation. Value about 349 Euro. Transferable to other person. 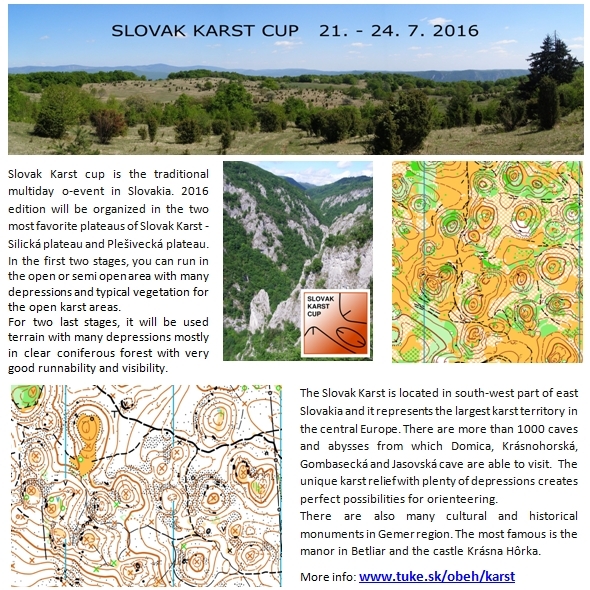 Prize offered: Competition + training package for 2 persons, consisting of: Entry for NAOM 2016 (13February 2016 - Middle distance + Night Sprint ; 14 February - Middle Distance WRE) + training camp (6 trainings) + 3 days of accommodation in half board. Value about 320 Euro. Transferable to other persons. Orievents / GD4Cs Training Camps Alto Alentejo are an excellent training opportunity for Orienteering of good quality during the winter. Start the new season in training camps in Alto Alentejo, Portugal! More at www.naom.pt and about the training camp at Orievents. Prize offered: 2 packages  each for 2 people  consisting of: Entry to complete Lipica Open competition + hard floor accommodation in Postojna. Value about 320 euro. Transferable to other persons. For the record: All sponsor gifts/income related to "The Course of the Year 2015" goes directly to the WorldofO.com readers.